• Versatile 2-in-1 mount provides both dash and vent mounting functionality in one compact unit. • Great for multi-vehicle applications and vent mount also works great when traveling. 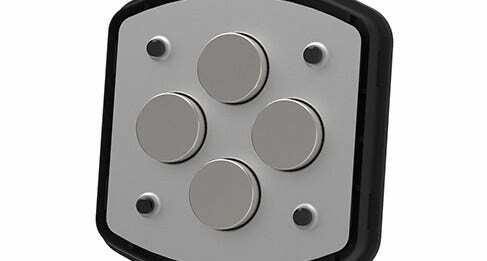 • 4-axis adjustability with soft touch rubber lock-nut for secure, cradle-free, device positioning. 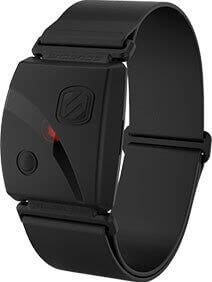 • Powerful neodymium rare-earth magnets are 100% smartphone and tablet safe. • Mount your device in portrait, landscape or any position in between. The MagicMount Dash/Vent is a unique 2-in-1 mount. 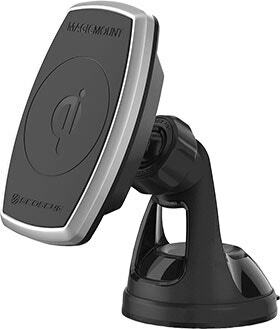 Simply mount the base to your dash or other surface and you are ready to go. Need to temporarily move the mount to another location? Simply slide the magnetic head off the of base and slide it onto the slats of your vent or use the head as a kickstand. When it's time to go back to a dash mount just slide the head back to the base. 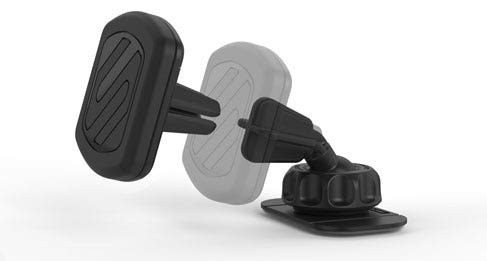 This vent mount is the perfect on-the-go solution within the MagicMount system. Not only does it easily slide from vent to vent this mount also doubles as a kickstand. If you're always on-the-go or traveling use this vent mount in your rental car or airline tray by day and your nightstand or desk by night. 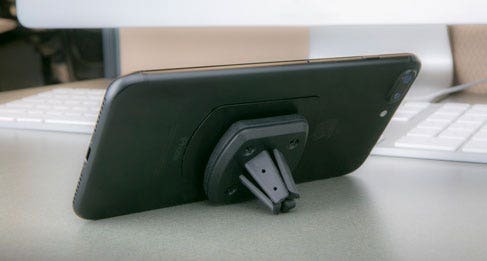 These powerful rare earth magnets hold your device securely in place even on the bumpiest roads and are 100% safe for Smartphones Tablets GPS and other mobile devices* How strong are they? Strong enough that we trust them holding a GoPro Session when we take out our Can-Am Maverick 1000XRS. Don't believe us? Just watch the video. Outstanding product. Replaced a bulky contraption that stuck on the windshield. This MAGIC MOUNT-Vent is terrific. Simple & easy to install-positioned right where you want it. I purchased the product awhile ago only to discover the wireless charging pads I bought could not be used. I was not happy because they were not inexpensive. The smartphone heated up quickly. It was not just warm but almost scorching hot. After a number of months I retuned to this site to see if there was a solution. Scosche mapped out where to place the magnet to alleviate this issue. I purchased the Pro version and placed the magnet on the phone based on the recommendation. It is working perfectly. The phone doesn't even warm up when wireless charging the phone. I was wondering if a rubber pad between the phone and magnet would allow placing it at any location. I also hope I can purchase replacement magnets without purchasing again the whole unit. I hate the other options from other manufactures. 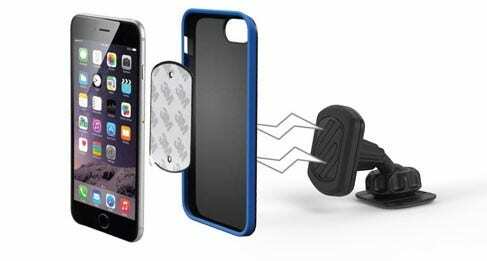 Scosche has come up with the perfect solution to attach the smartphone to the car. It works as advertised and with wireless charging now not an issue it is perfect. This product is clever and convenient. I hope the dash mount stays stuck and the vent mount isnt too hot or cold for my iphone.